In six intergenerational events, explore what covenants are and how they shape the salvation story. The Bible tells us of many covenants made between God and his people. Discover what covenants are and how they shape the salvation story. Events explore the covenants made with Noah and Abraham, God's covenant with his people at Mt. Sinai, Jesus as the covenant-keeper, the covenant we experience in the Lord's Supper, and God's covenant promise to send the Holy Spirit. 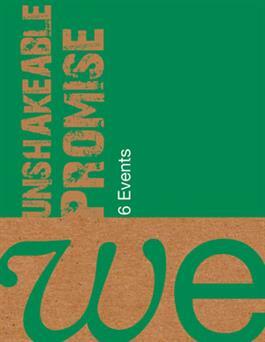 Order one box per church to get everything you need to plan and run WE: The Unshakeable Promise. An all-bases-covered event guide that makes it easy to set up and run your WE events. Includes full outlines of each event, supply and prep tips, and reproducible materials. Rev. Bonny Mulder-Behnia serves as family ministries pastor at Rosewood CRC in Bellflower, California, where she oversees children's, youth, outreach, and family ministries.